You are going to Watch Kaijudo: Rise of the Duel Masters Episode 7 online free episodes with HQ / high quality. 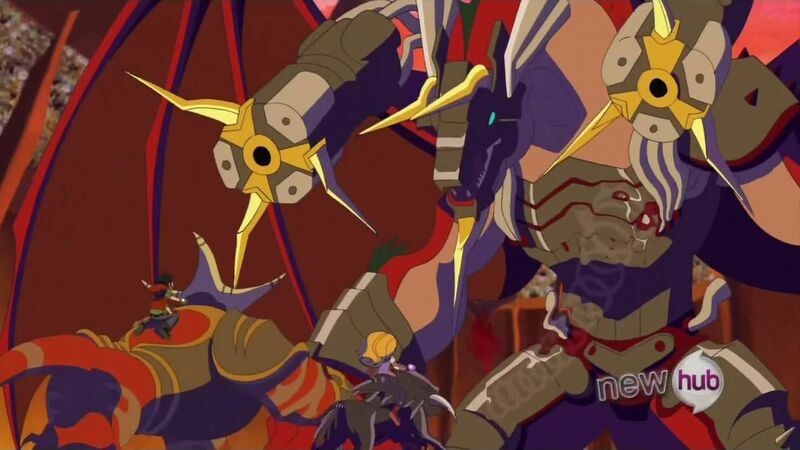 Stream cartoons Kaijudo: Rise of the Duel Masters Episode 7 Online Into the Fire Pt. 2.The stranger turns out to be a bounty hunter named Saguru and delivers the kids to Lord Skycrusher. Tatsurion invokes his right to trial by combat and Ray and Allie are his opponents. Ray helps Tatsurion to use his Nature side to resist the mind control of Skycrusher’s sword called the Sword of Fiery Cataclysm. Everyone manages to escape, while Saguru steals the Sword of Fiery Cataclysm and delivers it to the Choten for a slight look at Earth.